You want to be prepared for your upcoming salary negotiation, so you plan to research the standard pay range and practice asking for what you want. Those steps are certainly valuable, but they're not enough. Too often, people lose money because they think through just one contingency. While they're ready to say, "I know the starting number for someone in this sector in this city is $55,000," they have never considered how they'd reply to, "This is our best offer, with no room for negotiation." Feeling flustered (or stumped), they accept on the spot, even if they're not at the desired number. After interviewing dozens of women, I learned that one of the main reasons their negotiations didn't go as planned was they weren't prepared to respond to what the other person said. To make sure that doesn't happen to you, read on for the most common things you'll hear and tips for how to respond. It sounds like the hiring manager is letting you lead. But in actuality, they want to gauge the very least you'd be willing to accept. 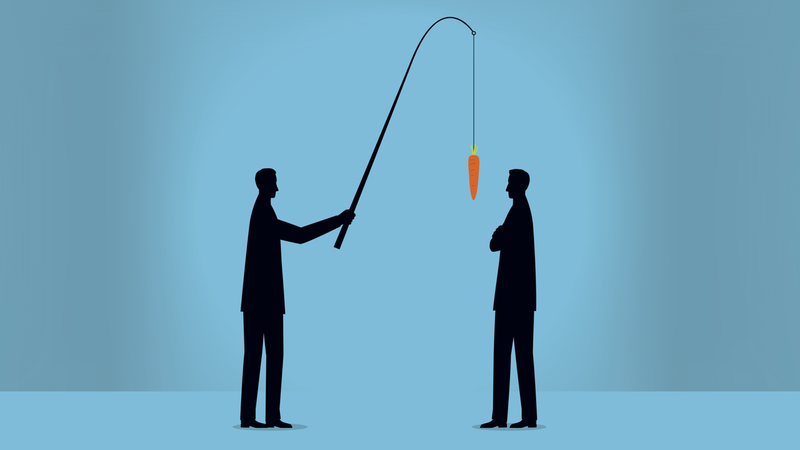 If you say you're hoping for a certain salary that's at the bottom of their range, they know they won't have to offer you more, (even if they were originally planning to). Deal with this question with a diplomatic deflection: "I'm more interested in finding a position that's a good fit for my skills. I'm confident that what you're offering is competitive." Or spin the question right back around to them: "I'm flexible on compensation. The position and growth potential are much more important to me. Would you be willing to share the rough range you have in mind for this position?" If they still push you for an answer, come prepared with some market data to answer the question matter-of-factly, without giving away what you'd actually accept: "Based on my research, the market rate for a position like this is $65,000 - $80,000." 2. "How Much Are You Currently Making?" A common mistake applicants make is disclosing their current salary early in the process. Again, employers will use this to gauge if you'd be willing to accept a low offer. If they have budgeted up to $90,000, but you disclose that you're currently making $65,000, they're likely going to start with a lower offer, assuming that you'll be happy with a 10 to 15 per cent jump. Therefore, the best response is to avoid giving an exact number. Try: "I'd prefer to not discuss what I'm currently making because this position that I'm interviewing for isn't exactly the same as my current job. I'd like to discuss the responsibilities and then I'm sure we'll agree on a salary that's appropriate." Or, "My current employer doesn't allow me to discuss compensation outside of the company. I'd like to respect their privacy." Of course, this may have come up before the interview stage, if you had to list an amount in your job application. (For future reference, I suggest putting "N/A" or an obviously incorrect number, like $1. In my experience, most recruiters won't penalise you, as they have likely seen it before from experienced negotiators). If you already listed your compensation, be ready to reframe that amount during the interview process. Come up with solid reasons why your current salary isn't reflective of your true market value. For example, highlight if you've taken on significant responsibilities in your current job or classes to improve your skills. Whatever you do, don't confuse pivoting the question back or delaying it until the interview process with lying. While it's OK to argue your market value is higher than what you currently make, it's never OK to lie. 3. "Unfortunately, We Don't Have Any Room to Negotiate"
Sometimes, the number really isn't negotiable. For example, if you're being hired into a "start class", the offer can be non-negotiable. (A start class is when a large company hires a number of people at the same time with similar qualifications — associates straight from law school or management trainee programs.) It can also be non-negotiable if you're taking a public sector role and you're already getting the best offer for the pay grade. That's a good time to ask about the compensation package as a whole (leave, tuition reimbursement, stock options, bonus, work from home flexibility). Even if they can't budge on take-home pay, other benefits could provide a real monetary value. Once you've decided what benefit you'd like to focus on, try: "I understand that at this point, salary isn't negotiable. I see that you have a tuition reimbursement program and I want to get my product management certification. Would you consider sponsoring my program?" 4. "In the Future You'll Have Opportunities for Growth and Raises"
If the offer isn't competitive and they deflect any of your attempts to negotiate by saying you'll discuss it in the future, don't let the conversation end there. Instead see it as an invitation to specifically discuss what'll come next. It sounds like this: "Because this number is a little lower than I feel comfortable with, I'd love to discuss my future and performance. I know that one of the most important things in this role is [key metric here]. If I'm able to deliver that in [time frame], would you be open to raising my compensation to [target amount] then?" If they say yes, make sure you get something that describes this agreement written into your employment contract — and then work your tail off to deliver before that review date. Just as you prep for an interview, you'll want to prep for your negotiation. And that means more than thinking about your canned speeches, it means getting ready for a two-way conversation. So team up, practise with a friend and imagine how you'll respond to the unexpected. That way, you'll avoid being caught off guard — and be a lot more likely to hit your target number. Image by dane_mark via Getty. The interviewers are smart enough to get their desired answers in any way. The current salary is always asked; based on that, they offer you their own salary package. If one does not tell them an exact amount then the conversation will keep on going round and round and nobody will talk directly on point. Maybe telling them your expected salary to a much higher range than they expected can be a better option! Some of what they're saying here is pretty intelligent, but their advice to "just put $1" in if you're asked for salary expectations is so wrong it borders on criminal and lifehacker should think twice about representing it here. For one, software recruitment management systems screen out straight away numbers outside the bracket. If you're dealing with 100s of applications, you're dumping anyone for any reason - it's the exact reason screening software was developed. If it's a question you have to answer electronically then 9 times out of 10 (yay made up stats) it's a pass/fail question. Putting in $1 won't even get you passed the front door, let alone to a recruiter eyes "who's seen it from an experienced negotiator". Two, as a recruiter who only uses ERMS part of the time which means I do my own screening half the time, if I see it I don't go, oh they're experienced! I go, you haven't bothered to disclose a number to me to help me, and in fact you've lied to me when I asked you question, therefore I'm binning you. Put a number in. Make it market value. If it's too high for them you haven't missed anything by avoiding a job that isn't paying you what you're worth. Don't do anything, not one little thing in your applications that misrepresent who or what you are.